I believe the Roman Catholic church has seriously erred in three fundamental areas: in its approach to God, the Bible, and salvation. 1) In its approach to God, Roman Catholicism approves the veneration of (i.e. bowing down before) images and relics, encourages praying to the saints, and promotes Mary to a semi-divine status. All of these constitute varying forms of idolatry, which Scripture condemns (cf. Ex. 20:4–5Open in Logos Bible Software (if available); Lev. 26:1Open in Logos Bible Software (if available); Acts 10:25–26Open in Logos Bible Software (if available); Rev. 22:8–9Open in Logos Bible Software (if available)). 2) In its approach to the Bible, Roman Catholicism elevates church tradition to a place of authority equal to (and in practice higher than) Scripture. The Lord Jesus condemned first-century Judaism as apostate because it likewise elevated the traditions of men above the Word of God (Mark 7:6–8Open in Logos Bible Software (if available)). 3) In its approach to salvation, Roman Catholicism adds various sacramental works to the gospel of grace. In a similar way, the apostle Paul condemned the Judaizers because they added self-righteous works to the gospel (cf. Acts 15:1–11Open in Logos Bible Software (if available); Rom. 11:6Open in Logos Bible Software (if available); Gal. 1:6–9Open in Logos Bible Software (if available)). These fundamental issues, in addition to a host of other doctrinal problems (e.g. purgatory, the papacy, priestly celibacy, indulgences, the Apocrypha, etc.) lead me to reject Roman Catholicism. 200 Words: Denomination or Abomination? Baptists, Mormons, and Jehovah’s Witnesses. All three claim to believe in Jesus. Yet, only one of these groups can be rightly classified as a denomination rather than a false religion. What are the marks of cult groups and apostate forms of Christianity that identify them as false religions—such that we can and should label them as heresies, rather than simply classifying them as different denominations? False religions (whether they claim to be Christian or not) attempt to add good works to the gospel of grace (cf. Rom. 11:6). Rather than trusting in Christ alone for salvation, they seek to earn God’s favor through self-righteous works and human effort (cf. Acts 15:1–11; Gal. 1:6–9; Eph. 2:8–9; Phil. 3:8–9; Titus 3:5–7). False teachers distort, deny, and deliberately disobey the Scriptures (2 Pet. 2:1, 3:16). They add to or subtract from God’s revealed truth (cf. John 17:17; Rev. 22:18–19), looking to some other false authority for their beliefs (Mark 7:6–12; cf. 2 Cor. 10:5). False religions twist the truth about Jesus Christ. They deny aspects of either His Person (e.g. His deity, humanity, eternality, uniqueness, etc.) or His work (e.g. His death, resurrection, ascension, etc.). Those who do not worship the true Christ are not truly Christian (John 4:24; cf. John 1:1, 14; 1 John 1:1; 2:22–23; 4:1–3; 2 John 7–11). 1. The way to reach skeptics with the gospel is not by watering down the gospel. Many of the liberal theologians thought they could make Christianity more appealing to Enlightenment rationalists if they abandoned the historical authenticity of the text; and if they redefined the gospel as something other than salvation from sin through Christ (thereby making it less offensive to modern minds). But, in so doing, they actually undid the very gospel they thought they were helping to preserve. 2. True religion can be lost in just one generation. Most of the German liberals were the sons of orthodox, Protestant ministers. The fact that they turned their backs on the faith of their fathers is tragic. As those training to be pastors, seminary students need to make sure they are shepherding their own families first and foremost. 3. German liberalism does not represent merely a divergent form of Christianity, but — in actuality — a completely new religion. If historical fact is removed from the gospel it is no longer the gospel. The apostle Paul makes this point clear in 1 Corinthians 15, where he asserts that if Jesus did not really rise from the dead, then we are fools and our faith is worthless. 4. The liberals honored doubt as being noble and intellectually honest. 5. German liberalism teaches us that ideas have consequences, and that bad ideas have very bad consequences. 6. The social gospel of the liberals is still alive and well in many mainline Protestant churches. The skepticism of the higher critics is still very much part of biblical studies in the academic world. Future pastors need to be ready to confront these kinds of errors with biblical truth (Titus 1:9 ). 7. Higher criticism, in particular, is built on the notion that the wisdom of man trumps the revealed wisdom of God. This is the height of arrogance. But it is not surprising, since Paul himself noted that the wisdom of God seems like foolishness to the world (1 Cor. 1:18 ). We must guard ourselves against the temptation to covet worldly praise and academic accolade. To be faithful to the gospel, we will necessarily be thought out-of-vogue with many of today’s leading philosophical thinkers. While we must avoid anti-intellectualism on the one hand, we must also guard ourselves against the allure of whatever is popular in the secular academic community. “I have been profoundly impressed with the sacrifices made by Christian men and women throughout the centuries of church history. From martyrs to missionaries, these individuals have served their King with greatest intensity and courage, valiantly standing as examples for those who come behind them. They are individuals of whom “this world was not worthy” (Hebrews 11:38) because their eyes were not set on the worth of this world, but rather on the values of heaven. One of those individuals is Adoniram Judson. What his godly parents did not know was that Adoniram was being lured away from the faith by a fellow student named Jacob Eames who was a Deist. By the time Judson’s college career was finished, he had no Christian faith. He kept this concealed from his parents until his twentieth birthday, August 9, 1808, when he broke their hearts with his announcement that he had no faith and that he wanted to write for the theater and intended to go to New York, which he did six days later on a horse his father gave him as part of his inheritance. . . .
[Some time later, Judson] stayed in a small village inn where he had never been before. The innkeeper apologized that his sleep might be interrupted because there was a man critically ill in the next room. Through the night Judson heard comings and goings and low voices and groans and gasps. It bothered him to think that the man next to him may not be prepared to die. He wondered about himself and had terrible thoughts of his own dying. He felt foolish because good Deists weren’t supposed to have these struggles. Judson was stunned. Though he had tried to run away, it was obvious that God was pursuing him. The Lord providentially used the death of the antagonistic Jacob Eames to bring Adoniram Judson back to Himself. In 1808, Judson entered Andover Seminary and dedicated himself to full-time missionary service. Four years later, in 1812, he would become one of the first foreign missionaries to set out from North America. Significantly, he married his wife Ann on February 5, 1812. Just two weeks later, the newlyweds set sail for India. I have now to ask whether you can consent to part with your daughter early next spring, to see her no more in this world; whether you can consent to her departure for a heathen land, and her subjection to the hardships and sufferings of a missionary life; whether you can consent to her exposure to the dangers of the ocean; to the fatal influence of the southern climate of India; to every kind of want and distress; to degradation, insult, persecution, and perhaps a violent death? That letter would prove to be prophetic. The couple’s missionary endeavors, taking them first to India and later to Burma (present-day Myanmar), were fraught with suffering and tragedy. They underwent economic challenges, losing the financial backing of their supporters only a few months after leaving the United States. Their plans unexpectedly changed when problems with their visas in India forced them to settle in Burma. Once there, they faced a severe language barrier — studying the language for 12 hours a day for over three years in order to learn it. When they finally could communicate, their message met with relative indifference from the Burmese citizens — due in part to the prevelant Bhuddism and also to the imperial death-sentence that awaited anyone convicted of changing religion. After 12 years of work, Judson and his fellow missionaries saw only 18 conversions. Beyond the constant threat of sickness and disease, Judson also faced serious dangers from the government. Suspected of being a spy during Burma’s civil war, he was sent to a death prison where he was tortured, and forced on a death march that nearly killed him. In all, he spent 17 months behind bars while his wife Ann did everything she could to secure his release. More painful than that, Judson endured the pain of loss some two dozen times. His wife Ann died just a few months after he was released from prison. She would not be the only family member who died during his tenure. From 1812 to 1850, twenty-four of Judson’s relatives or close associates went home to heaven, including several of his children. As a husband, father, missionary, and friend, Judson truly knew what it was to sacrifice and suffer. Nevertheless, enduring all of this, he steadfastly pursued his goal of evangelizing the Burmese people and translating the Bible into their language. When he died, the translation work had been completed, 100 churches had been planted, and 8,000 Burmese professed faith in Jesus Christ. 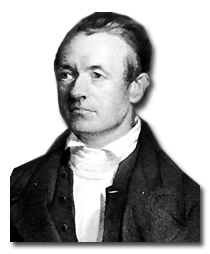 Adoniram Judson and his family made enormous sacrifices for the sake of the gospel. From a worldly perspective, some might argue that they wasted their lives. They moved far away from the comforts of their North American roots; endured the pain of rejection, hunger, torture, and loss; and did all of this to bring good news to a largely antagonistic and indifferent audience. It is an inescapable topic these days. From recent Supreme Court decisions to America’s economic uncertainty to U.S. foreign policy, political issues are on everyone’s mind. The fact that this year is an election year only heightens the intensity of an already-charged discussion. Few topics are more heated than politics, and the emotions evoked often present a temptation to sin. Anger and hatred; grumbling and complaining; gossip and slander; insubordination and rebellion; anxiety and worry — these are just some of the wrong responses that can arise whenever the conversation takes a political turn. As Americans, our right to free speech makes it all-to-easy to criticize and decry any public figure or policy we don’t like. But as believers, we have a God-given obligation toward those who are in authority over us. The following excerpt is from John MacArthur’s chapter on “God, Government, and the Gospel” in Right Thinking in a World Gone Wrong (Harvest House, 2009). It is a helpful reminder for us, especially during a politically-charged election season. “In addition to submitting to the laws of our land, we are commanded to pray for those in authority over us. Even those whom we consider political “opponents” are to receive our prayers on their behalf. It was during Nero’s reign that Paul told Timothy, “I urge that entreaties and prayers, petitions and thanksgivings, be made on behalf of all men, for kings and all who are in authority” (1 Tim. 2:1–2). Paul prayed for the very king who would eventually authorize his execution. And he instructed Timothy to do the same. The apostle Paul continues by delineating two aspects of a Christian’s prayer for government authorities. First, believers should pray for those in authority over them “so that you may lead a tranquil and quiet life in all godliness and dignity” (v. 2). An immediate by-product of praying for our leaders is that it removes thoughts of rebellion, resistance, or anger towards them. It prompts us to be peacemakers, not reactionaries; to lead lives that are tranquil, quiet, godly, and dignified. As Paul told Titus: “Remind them to be subject to rulers, to authorities, to be obedient, to be ready for every good deed, to malign no one, to be peaceable, gentle, showing every consideration for all men” (Titus 3:1–2). When our leaders do something we don’t like, our first response should be to pray, not protest. Second, Christians should pray for the salvation of their leaders. Speaking of such prayers, Paul writes, “This is good and acceptable in the sight of God our Savior, who desires all men to be saved and come to the knowledge of the truth. For there is one God, and one mediator also between God and men, the man Christ Jesus, who gave Himself as a ransom for all, the testimony given at the proper time. . . . Therefore I want the men in every place to pray, lifting up holy hands, without wrath and dissension” (1 Tim. 2:3–6, 8). Praying for the salvation of our leaders is good in the sight of God. The salvation of souls is in keeping with God’s gracious nature and His sovereign purposes; it is the reason Christ died on the cross. When we pray for our nation, we must not limit our prayers to policy decisions and other temporal issues. We must also pray for the souls of those in government and civil service, that by God’s grace they might be saved through faith in Christ. Romans 11:26 promises that all Israel will be saved. Dispensationalists understand this verse to refer to a national salvation of ethnic Israel after the fullness of the Gentiles has come in. Non-premillennialists sometimes imply that such an interpretation is a dispensationalist invention, because it means that God still has a future plan for national Israel. But did you know that many throughout church history, including many in the Reformed tradition have shared that same interpretation? None other than John Calvin, in his commentary on Romans 11:25-26, noted that “when the Gentiles shall come in, the Jews also shall return from their defection to the obedience of faith.” Other Reformers, such as Martin Bucer, Peter Martyr, and Theodore Bezasimilarly concluded that there would be a future calling and conversion of the Jewish people. A belief in the future salvation of national Israel was especially strong among the Dutch Reformed and the English Puritans of the seventeenth century. Regarding the Dutch Calvinists of that time period, J. Van Den Berg explains that for “virtually all Dutch theologians of the seventeenth century, ‘the whole of Israel’ indicated the fullness of the people of Israel ‘according to the flesh’: in other words, the fullness of the Jewish people. This meant that there was a basis for an expectation of a future conversion of the Jews—an expectation which was shared by a large majority of Dutch theologians” (Puritan Eschatology, 140). Commenting on the English Puritans, Iain Murray similarly notes: “This same belief concerning the future of the Jews is to be found very widely in seventeenth-century Puritan literature. It appears in the works of such well-known Puritans as John Owen, Thomas Manton and John Flavel. … It is also handled in a rich array of commentaries, both folios and quartos – David Dickson on the Psalms, George Hutcheson on the Minor Prophets, Jeremiah Burroughs on Hosea, William Greenhill on Ezekiel, Elnathan Parr on Romans and James Durham on Revelation: a list which could be greatly extended.” (The Puritan Hope, 43). [Regarding the fact] that they [the Jews] shall believe and be saved, he [Paul] brings Isaiah to witness, who cries aloud and says, There shall come out of Zion the Deliverer, and shall turn away ungodliness from Jacob.” (Isaiah 59:20.) … If then this has been promised, but has never yet happened in their case, nor have they ever enjoyed the remission of sins by baptism, certainly it will come to pass. To show therefore that [Elijah] the Tishbite comes before that other [second] advent … He said this. … And what is this reason? That when He is come, He may persuade the Jews to believe in Christ, and that they may not all utterly perish at His coming. Wherefore He too, guiding them on to that remembrance, saith, “And he shall restore all things;” that is, shall correct the unbelief of the Jews that are then in being. 5. Augustine (354–430) concurred: It is a familiar theme in the conversation and heart of the faithful, that in the last days before the judgment the Jews shall believe in the true Christ, that is, our Christ, by means of this great and admirable prophet Elias who shall expound the law to them. . . . When, therefore, he is come, he shall give a spiritual explanation of the law which the Jews at present understand carnally, and shall thus “turn the heart of the father to the son,” that is, the heart of the fathers to the children. 8. Cassiodorus (c. 485–585) [commenting on Psalm 103:9]: This verse can be applied also to the Jewish people, who we know are to be converted at the world’s end. On this Paul says: Blindness in part has happened in Israel, that the fullness of the Gentiles should come in, and so all Israel should be saved. 9. Thomas Aquinas (1225–1274): It is possible to designate a terminus, because it seems that the blindness of the Jews will endure until all the pagans chosen for salvation have accepted the faith. And this is in accord with what Paul says below about the salvation of the Jews, namely, that after the conversion of the pagans, all Israel will be saved. Note: Other early theologians who believed in a future salvation of Israel include Prosper of Aquitaine (390–455), Gregory (540–604), Isidore (560–636), Bede (d. 735), Peter Damian (1007–1072), Anselm (1033–1109), and Bernard (1090–1153). 10. The Geneva Study Bible (16th century): He [Paul] speaks of the whole nation, not of any one part. … The blindness of the Jews is neither so universal that the Lord has no elect in that nation, neither will it be continual: for there will be a time in which they also (as the prophets have foretold) will effectually embrace that which they now so stubbornly for the most part reject and refuse. 11. William Perkins (1558–1602): The Lord says, All the nations shall be blessed in Abraham: Hence I gather that the nation of the Jews shall be called, and converted to the participation of this blessing: when, and how, God knows: but that it shall be done before the end of the world we know. 12. Elnathan Parr (d. 1630) [on Romans 11:26]: That all the elect shall be saved? Who ever doubted that? But of the calling of the Jews there is doubt. He calls their salvation a secret or mystery but there is nothing mysterious about all the elect being saved. He shows that there is an unbroken reference to Israel/Jacob, that is, ethnic Israel. [From verses 25-28 Parr concludes,] Before the end of the world the Jews in regard to their multitude will be called. 13. Matthew Poole (1624–1679): [On Romans 11:26] By Israel here (as in the precedent verse) you must understand, the nation and people of the Jews. And by all Israel is not meant every individual Israelite, but many, or (it may be) the greatest part of them. … These prophecies and promises [from Isaiah 27:9; 59:20 and Jer. 31:33], though they were in part fulfilled when Christ came in the flesh, (see Acts 3:26,) yet there will be a more full and complete accomplishment thereof upon the Jewish nation and people towards the end of the world. 14. Increase Mather (1639–1723): That there shall be a general conversion of the tribes of Israel, is a truth which in some measure hath been known and believed in all ages of the church of God, since the Apostles’ days. 15. Matthew Henry (1662–1714): Another thing that qualifies this doctrine of the Jews rejection is that though for the present they are cast off, yet the rejection is NOT final; but, when the fullness of time is come, they will be taken in again. They are not cast off for ever, but mercy is remembered in the midst of wrath. … The Jews shall continue in blindness, till God hath performed his whole work among the Gentiles, and then their turn will come next to be remembered. This was the purpose and ordination of God, for wise and holy ends; things should not be ripe for the Jews’ conversion till the church was replenished with the Gentiles, that it might appear that God’s taking them again was not because he had need of them, but of his own free grace. 16. Cotton Mather (1663–1728): This day, from the Dust, where I lay prostrate before the Lord, I lifted up my Cries … for the conversion of the Jewish nation, and for my own having the Happiness, at some time or other, to Baptize a Jew that should by my ministry be brought home unto the Lord. 17. Thomas Boston (1676–1732): There is a day coming when there shall be a national conversion of the Jews or Israelites. The now blinded and rejected Jews shall at length be converted into the faith of Christ. 18. James Robe (1688–1753): Me thinks I hear the nation of the Jews (for such is the cry of their case) crying aloud to you from their dispersion, … we have now been rejected of God for more than sixteen hundred years, because of our unbelief, and for this long, very long while, wrath to the uttermost hath been lying upon us! There are many promises and predictions that we shall be grafted in again. … Pray therefore, and wrestle with God, that he may, according to his promise, pour forth upon the Spirit of grace and supplication, that we may look upon him whom we have pierced, and mourn. 19. John Gill (1697–1771): And so all Israel shall be saved. … Meaning not the mystical spiritual Israel of God, consisting both of Jews and Gentiles, who shall appear to be saved in the Lord with an everlasting salvation, when all God’s elect among the latter are gathered in, which is the sense many give into; but the people of the Jews, the generality of them, the body of that nation, called “the fullness” of them, Romans 11:12, and relates to the latter day, when a nation of them shall be born again at once; … when they as a body, even the far greater part of them that shall be in being, shall return and seek the Lord their God, and David their King; shall acknowledge Jesus to be the true Messiah, and shall look to him, believe on him, and be saved by him from wrath to come. 20. Jonathan Edwards (1703–1758): The Jews in all their dispersions shall cast away their old infidelity, and shall have their hearts wonderfully changed, and abhor themselves for their past unbelief and obstinacy. They shall flow together to the blessed Jesus, penitently, humbly, and joyfully owning him as their glorious King and only Savior, and shall with all their hearts, as one heart and voice, declare his praises unto other nations. … Nothing is more certainly foretold than this national conversion of the Jews in Romans 11. 21. Charles Hodge (1797–1878): The second great event, which, according to the common faith of the Church, is to precede the second advent of Christ, is the national conversion of the Jews. … The restoration of the Jews to the privileges of God’s people is included in the ancient predictions and promises made respecting them. . . . The future restoration of the Jews is, in itself, a more probable event than the introduction of the Gentiles into the church of God. 22. Robert Murray M‘Cheynne (1813–1843): Converted Israel … will give life to the dead world. … just as we have found, among the parched hills of Judah, that the evening dew, coming silently down, gave life to every plant, making the grass to spring and the flowers to put forth their sweetest fragrance, so shall converted Israel be when they come as dew upon a dead, dry world. The remnant of Jacob shall be in the midst of many people as a dew from the Lord, as the showers upon the grass, that tarrieth not for man, nor waiteth for the sons of men. 23. J. C. Ryle (1816–1900): It always seemed to me that as we take literally the texts foretelling that the walls of Babylon shall be cast down, so we ought to take literally the texts foretelling that the walls of Zion shall be built up—that as according to prophecy the Jews were literally scattered, so according to prophecy the Jews will be literally gathered—and that as the least and minutest predictions were made good on the subject of our Lord’s coming to suffer, so the minutest predictions shall be made good which describe our Lord’s coming to reign. And I have long felt it is one of the greatest shortcomings of the Church of Christ that we ministers do not preach enough about this advent of Christ, and that private believers do not think enough about it. 24. Charles Spurgeon (1834–1892): I think we do not attach sufficient importance to the restoration of the Jews. We do not think enough of it. But certainly, if there is anything promised in the Bible it is this. “Here are ten reminders for those who preach and teach the Word of God … as confirmed by some of history’s greatest preachers. 1. Effective ministry consists not of fads or gimicks, but of faithfully preaching the truth. Charles Spurgeon: Ah, my dear friends, we want nothing in these times for revival in the world but the simple preaching of the gospel. This is the great battering ram that shall dash down the bulwarks of iniquity. This is the great light that shall scatter the darkness. We need not that men should be adopting new schemes and new plans. We are glad of the agencies and assistances which are continually arising; but after all, the true Jerusalem blade, the sword that can cut to the piercing asunder of the joints and marrow, is preaching the Word of God. We must never neglect it, never despise it. The age in which the pulpit it despised, will be an age in which gospel truth will cease to be honored. . . . God forbid that we should begin to depreciate preaching. Let us still honor it; let us look to it as God’s ordained instrumentality, and we shall yet see in the world a repetition of great wonders wrought by the preaching in the name of Jesus Christ. Source: Charles Spurgeon, “Preaching! Man’s Privilege and God’s Power,” Sermon (Nov. 25, 1860). 2. Preaching is a far more serious task than most preachers realize. Richard Baxter: And for myself, as I am ashamed of my dull and careless heart, and of my slow and unprofitable course of life, so, the Lord knows, I am ashamed of every sermon I preach; when I think what I have been speaking of, and who sent me, and that men’s salvation or damnation is so much concerned in it, I am ready to tremble lest God should judge me as a slighter of His truths and the souls of men, and lest in the best sermon I should be guilty of their blood. Me thinks we should not speak a word to men in matters of such consequence without tears, or the greatest earnestness that possibly we can; were not we too much guilty of the sin which we reprove, it would be so. Source: Richard Baxter, “The Need for Personal Revival.” Cited from Historical Collections Relating to Remarkable Periods of the Success of the Gospel, ed. John Gillies (Kelso: John Rutherfurd, 1845), 147. 3. Faithfulness in the pulpit begins with the pursuit of personal holiness. Robert Murray M’Cheyne: Take heed to thyself. Your own soul is your first and greatest care. You know a sound body alone can work with power; much more a healthy soul. Keep a clear conscience through the blood of the Lamb. Keep up close communion with God. Study likeness to Him in all things. Read the Bible for your own growth first, then for your people. Expound much; it is through the truth that souls are to be sanctified, not through essays upon the truth. Source: Robert Murray M’Cheyne, letter dated March 22, 1839, to Rev W.C. Burns, who had been named to take M’Cheyne’s pulpit during the latter’s trip to Palestine. Andrew Bonar, ed, Memoir and Remains of Robert Murray M’Cheyne(Banner of Truth, 1966), 273-74. 4. Powerful preaching flows from powerful prayer. E. M. Bounds: The real sermon is made in the closet. The man – God’s man – is made in the closet. His life and his profoundest convictions were born in his secret communion with God. The burdened and tearful agony of his spirit, his weightiest and sweetest messages were got when alone with God. Prayer makes the man; prayer makes the preacher; prayer makes the pastor. . . . Every preacher who does not make prayer a mighty factor in his own life and ministry is weak as a factor in God’s work and is powerless to project God’s cause in this world. 5. Passionate preaching starts with one’s passion for Christ. Phillip Brooks: Nothing but fire kindles fire. To know in one’s whole nature what it is to live by Christ; to be His, not our own; to be so occupied with gratitude for what He did for us and for what He continually is to us that His will and His glory shall be the sole desires of our life . . . that is the first necessity of the preacher. Source: Phillips Brooks, Lectures on Preaching, originally published in 1877. Republished in 1989 by Kregel under the title The Joy of Preaching. As cited in “The Priority of Prayer in Preaching” by James Rosscup, The Masters Seminary Journal, Spring 1991. 6. The preacher is a herald, not an innovator. R. L. Dabney: The preacher is a herald; his work is heralding the King’s message. . . . Now the herald does not invent his message; he merely transmits and explains it. It is not his to criticize its wisdom or fitness; this belongs to his sovereign alone. On the one hand, . . . he is an intelligent medium of communication with the king’s enemies; he has brains as well as a tongue; and he is expected so to deliver and explain his master’s mind, that the other party shall receive not only the mechanical sounds, but the true meaning of the message. On the other hand, it wholly transcends his office to presume to correct the tenor of the propositions he conveys, by either additions or change. . . . The preacher’s business is to take what is given him in the Scriptures, as it is given to him, and to endeavor to imprint it on the souls of men. All else is God’s work. Source: R.L. Dabney, Evangelical Eloquence: A Course of Lectures on Preaching(Banner of Truth, 1999; originally published as Sacred Rhetoric, 1870), 36-37. 7. The faithful preacher stays focused on what matters. Source: G. Campbell Morgan, This Was His Faith: The Expository Letters of G. Campbell Morgan, edited by Jill Morgan (Fleming Revell, Westwood, NJ), 1952. 8. The preacher’s task is to make the text come alive for his hearers. D. Martyn Lloyd-Jones: As preachers we must not forget this. We are not merely imparters of information. We should tell our people to read certain books themselves and get the information there. The business of preaching is to make such knowledge live. The same applies to lecturers in Colleges. The tragedy is that many lecturers simply dictate notes and the wretched students take them down. That is not the business of a lecturer or a professor. The students can read the books for themselves; the business of the professor is to put that on fire, to enthuse, to stimulate, to enliven. And that is the primary business of preaching. Let us take this to heart. … What we need above everything else today is moving, passionate, powerful preaching. It must be ‘warm’ and it must be ‘earnest’. Source: D. Martyn Lloyd-Jones, “Jonathan Edwards and the Crucial Importance of Revival.” Lecture delivered at the Puritan and Westminster Conference (1976). 9. The preacher is to be Christ-exalting, not self-promoting. R. B. Kuiper: The minister must always remember that the dignity of his office adheres not in his person but in his office itself. He is not at all important, but his office is extremely important. Therefore he should take his work most seriously without taking himself seriously. He should preach the Word in season and out of season in forgetfulness of self. He should ever have an eye single to the glory of Christ, whom he preaches, and count himself out. It should be his constant aim that Christ, whom he represents, may increase while he himself decreases. Remembering that ministermeans nothing but servant, he should humbly, yet passionately, serve the Lord Christ and His church. Source: R.B. Kuiper, The Glorious Body of Christ (Banner of Truth, 1966), 140-42. 10. Faithful preaching requires great personal discipline and sacrifice. Source: A. W. Pink, “Preaching False and True,” Online Source. The missionary spirit is utterly contagious. Even just one life burning brightly for the gospel can ignite the hearts of hundreds of others for generations to come. 1. John Elliott (1604–1690) was a Puritan settler in New England who began evangelizing the native Americans. Known as the “apostle to the Indians,” he translated the Bible into their native language, helped to establish churches, and sparked a missionary zeal among Christian settlers in the New World. 2. That missionary spirit inspired men like David Brainerd (1718–1747) to similarly devote his life to reaching native American Indians with the good news of the gospel. 3. Though Brainerd died at only 29 years of age, his friend Jonathan Edwards (1703–1758) was so impressed by the young missionary’s passion that he edited Brainerd’s diary and published it. Edwards himself would later work as a missionary to the native American Indians of Stockbridge, Massachusetts. 4. In 1785, an English shoe cobbler named William Carey (1761–1834) read a copy of An Account of the Life of the Late Rev. David Brainerd by Jonathan Edwards. The book had a profound impact on Carey’s thinking, igniting a passion in his heart to take the gospel to India. William Carey left for India in 1793 and the modern missions movement was born. 5. In 1802, a British preacher named Charles Simeon (1759–1836) was speaking about the good that William Carey was doing. Upon hearing that message, a young man in the congregation named Henry Martyn (1781–1812) determined that he too would go to India, rather than going to law school. I have today finished reading, for the second time, [Henry] Martyn’s Memoir. How my soul admires and loves his zeal, self-denial and devotion; how brilliant, how transient his career; what spiritual and mental power amidst bodily weakness and disease! O, may I be encouraged by his example to press on to a higher mark. 7. In 1825, Groves published a short booklet entitled Christian Devotedness, in which he encouraged Christians to live frugally, trust God for their needs, and devote the bulk of their income to evangelism efforts around the world. That book had a major impact on the thinking of men like George Müller (1805–1898), and James Hudson Taylor (1832–1905)—shaping the way they thought about missions. 9. The publicity garnered by C. T. Studd and “The Cambridge Seven” in England—especially their influence in British universities—influenced the beginnings of the Student Volunteer Movement for Foreign Missions (started in 1886) in North America. Under the leadership of men like D. L. Moody (1837–1899) and Arthur T. Pierson(1837–1911) (the author of George Müller’s biography), hundreds of American students would join the volunteer movement and commit themselves to foreign missionary work. When I was a college student my father lent me the two-volume life of Hudson Taylor. Another college student, Jim Elliot, read it too and this was one of the great things he and I had in common—a huge hunger for that sort of godliness, for a true missionary heart. As this brief history demonstrates, missions is contagious. From John Elliott to Jim Elliot, a perceptible chain of influence and gospel faithfulness can be traced from one fervent missionary to the next. From David Brainerd to Jonathan Edwards to William Carey to Henry Martyn to Anthony N. Groves to Hudson Taylor to C. T. Studd, Jim Elliot, and others. Interestingly, this particular chain brings us full circle—from the Americas around the globe and back again. John Elliott took the gospel to the native American Indians of New England. Three centuries later, Jim Elliot took the gospel to the native American Indians of Ecuador. Some of the missionaries listed above only live a short time. David Brainerd was 29 years old when he died. Henry Martyn was only 31. Jim Elliot was 28. Yet, the impact of their lives extends far beyond their short tenure on this earth. Their self-sacrifice inspired thousands of others to give their lives for the sake of the gospel. It is pretty amazing to consider. Of course, this is only one small thread in the great tapestry that God has woven throughout the centuries. (There are many other connections, links, and influences that could have been traced.) Yet, it illustrates a profound lesson in a vivid way. Never underestimate the power for influence of a life fully invested in serving the Lord Jesus. Sacrificial faithfulness to Christ in one generation reverberates for many generations to follow. “Ask your average man-on-the-street what he thinks about “heaven,” and he’ll probably describe a place where just about everything people enjoy in this life is completely missing. The sad reality is that too often, we as Christians can allow our own understanding of heaven to be tainted by the culture around us. But Hallmark must not define heaven for us. Hollywood must not define heaven for us. Centuries of monastic tradition must not define heaven for us. Instead, only God’s Word can rightly inform our understanding of heaven. And when we go to the Scriptures, we find that our future home is anything but bland, boring, or quiet. In particular, the eternal heaven (which Revelation 21–22 describes as a new earth) will be a place of vibrant color (Rev. 21:19–21; cf. 4:3), good food (22:2; cf. 19:7–9), loud music(cf. Rev. 5:8–13), intimate fellowship [with God Himself] (22:3–4), and joyous physical activity (21:24–26; cf. 1 Cor. 15:35–49). The best this life has to offer cannot compare to heaven in any respect. The best thrills, the best joys, the best memories in this life are but shadows; our most wondrous, most profound, most heartfelt, most emotional, most fulfilling moments in this world, cannot hold a candle to the brilliant sun of heavenly experience. Ironically, many of the wonderful things people enjoy in this life and assume will be missing from heaven, will in fact be part of life on the new earth—only in an infinitely better, eternally-perfected form. Because there actually are some significant aspects of our current experience that will be absent from heaven. If we are to rightly understand just how wonderful heaven is going to be, we not only need to know what will be there … we also need to know what will be missing. That’s why, in Revelation 21–22, the Apostle John spends as much time describing the new earth by telling us what will be absent from heaven, as he does telling us what will bepresent. 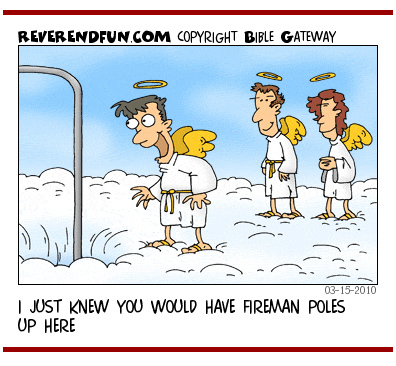 So what is heaven missing? Here’s a list of 17 items that John states will be absent from the new earth. Each of these represents some aspect of fallenness, rebellion, or divine judgment connected to this present world. And there will be no sign of corruption or judgment in the world to come. 1. No sea (Rev. 21:1) — In Scripture, the sea is often representative of evil, disorder, and chaos. Moreover, the ocean as we know it today is a result of God’s judgment in the Flood (Gen. 6-8). But all signs of evil and judgment will be gone in the new earth. In order to underscore the wonder of the new earth, John contrasts the new earth with this one by emphasizing aspects of our fallen world which will be missing from heaven.Because sin and its corrupting consequences are such a normal part of this life, the apostle has to go to great length to emphasize the fact that absolutely none of that will be present in the life to come. There are times in our own experience, of course, when the best way to describe something is to contrast it with something that is familiar. When I was in college, for example, I bought a used car. It was a small four-door compact, and it suited my needs perfectly as a college student. The car was already seven years old when I bought it and it had 80,000 miles on it. But it ran great, and I kept it for another ten years. By the time I finally got rid of it, it was in (very) bad shape. The engine still ran, but everything else about the car was clearly worn out. The struts were totally shot, so that I could feel every bump in the road. The air conditioning was broken; the paint was peeling; the seats were ripped and scarred. The doors were scratched; one of the side mirrors was broken off and being held on with duct tape. The car would constantly fail its smog check, and was categorized by the state of California as a “gross polluter.” On multiple occasions, I had to go to the DMV and get a special permit to drive it around. It was too old to have a CD player, and the cassette player was broken too. One of the hubcaps was missing. Both the front and back bumpers were damaged; and at times the power steering wouldn’t work. Needless to say, the car was a mess. I knew I couldn’t sell it. So I finally took it to a wrecking yard and said goodbye. Then I went and bought a new car. Its paint was not peeling; its upholstery was not damaged; its hubcaps had not fallen off. No longer did I have to deal with a faulty suspension, a broken mirror, a damaged power-steering system, or the repeated frustrations of trying to pass a smog check. Those were all things that characterized my old car. But they did not characterize the newone, because even though both are cars, the new car is exponentially better than the last. Now that illustration is obviously limited. But it gives a sense of how the Apostle John uses contrast to describe the glories of heaven in Revelation 21–22. In the final two chapters of the Bible, he explains the greatness of the new earth by noting how different it will be than this sin-stained, broken-down, cursed and corrupt world system. So what is heaven missing? A lot. But not in the way our popular culture thinks. “So how would Tim Tebow, the person, respond to a question that clearly highlighted one of the main theological misconceptions surrounding Tim Tebow, the cultural phenomenon? Well, something I pray before games, during games, and after games is regardless whether I win, whether I lose, whether I’m the hero or the goat — it doesn’t matter — that I still honor the Lord and give Him the glory because He’s deserving of it. And just like my effort shouldn’t change, neither should that. So that’s how I try to approach it. Sometimes even in a loss you can honor Him more. And so, for me I just pray that my character and who I am doesn’t change. Even though you can be dejected, you can still feel hurt, you can be disappointed; but you can still honor the Lord with how you handle things.